Halloween is just a little over a week, so get the kids excited with this Fun Halloween Activity Pack. 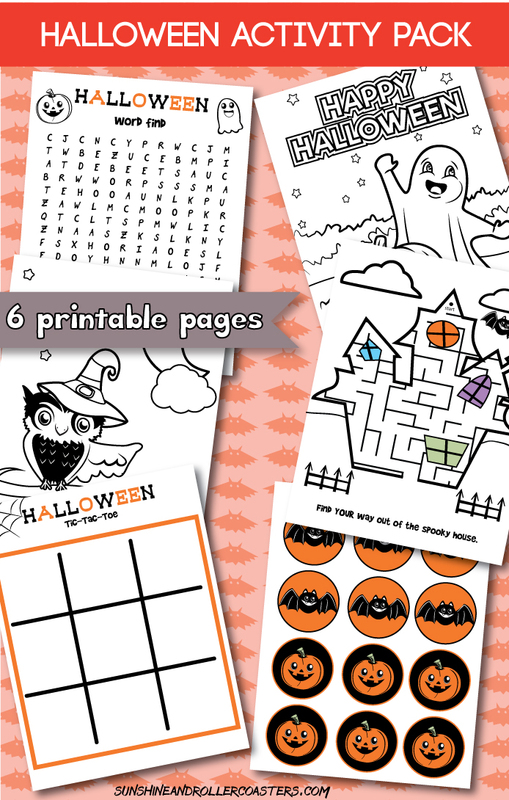 The activity pack includes Halloween Tic Tac Toe, a Halloween Word Find, a Halloween Maze, and 2 Coloring Sheets. So print them out(click on each photo to print) and and feel free to share the finished sheets with us on our Facebook page. We would love to see them.